Briggs and Riley Inside Expandable Upright. Note flush bottom for easy packing. It is flush because the handle system does not interfere with the interior. Also notice the removable hanging dopp kit that "snaps" out. By design, all these Brigg wheelers have more packing room on the inside than other Brands. 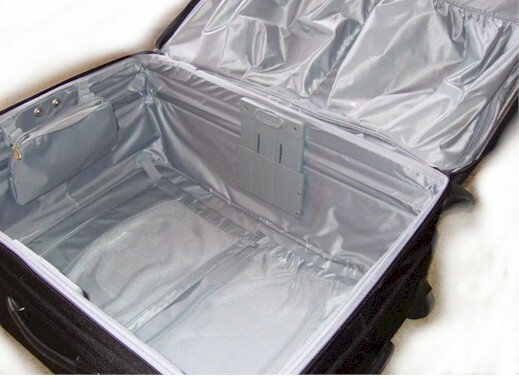 The flush packing surface inside allows traveling with much less wrinkling.